Sounds like a fun day! no? So I decided to clean up the mudbox monster sculpt, since it was made from a default sphere the Polygon distribution was very very uneven. 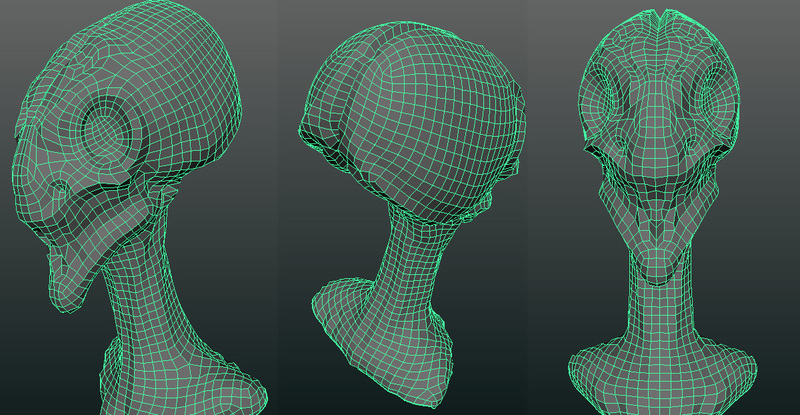 At 2 million poly my mudbox was maxed out, yet there were still a lot of places on the sculpt that lacked definition. The solution currently is to retopologies the sculpt so that polygons are spread evenly and resculpt the details back onto the retop’d model, short cutting this process by baking a displacement map in Maya. This is the first time I’ve followed this workflow, but thus far it has worked. 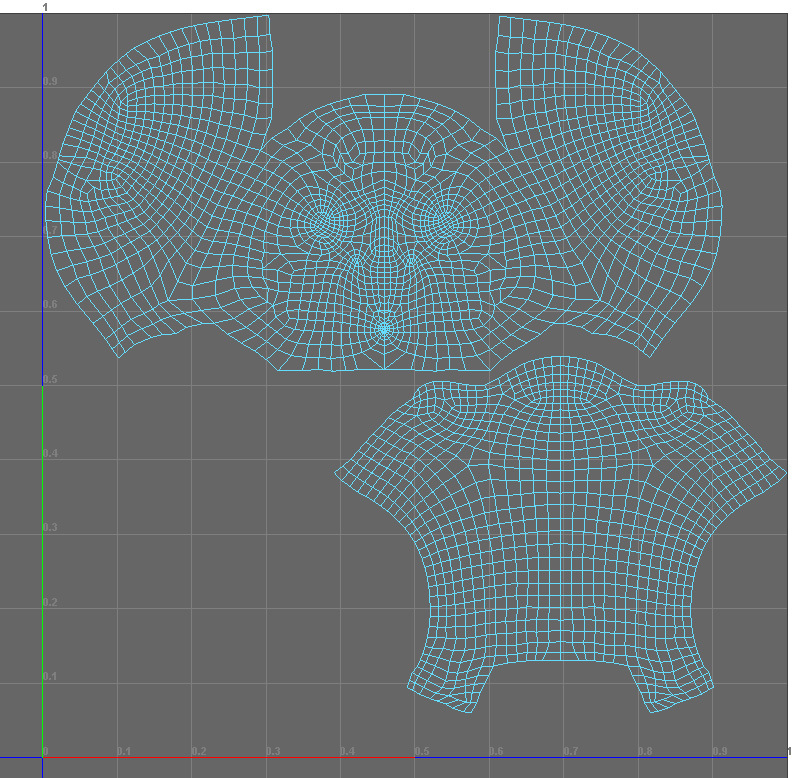 the downside is that it takes a long time to do this, but by the end you should have a mid-res model with good topology for animations and even displacements. This is also the first time I’ve used 3DCoat, I gotta say I’m thinking about forking out the $99 for the student version just for the retopo and UV feature, its pretty awesome. The next step is to generate a displacement map from the hi-poly model, so we don’t have to resculpt the details in mudbox. The trick here is to make sure you adjust the envelope so that it covers most of the hi-res. 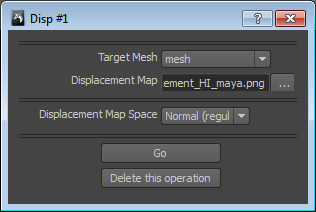 If you don’t see any changed make sure you have subdivided the model and the displacement map is correct.